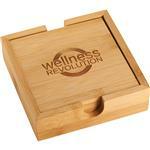 We love these custom wood coaster with a built in bottle opener. 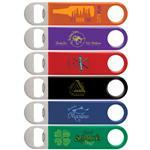 Made of durable rubber wood with a stainless steel bottle opener on bottom. Grooved edge to help maintain spills and drips. Try a tone on tone imprint for a natural look or a full color decoration. Packaged in an open faced natural kraft paper box. 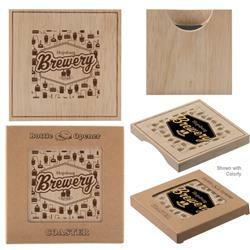 A great promotional coaster for breweries or parties. Typical Imprint Area(s): 2" x 2"